If you don’t have a monetization strategy, you might end up writing an endless number of blog posts without earning anything. One of the biggest challenges every blogger faces is earning money online. Not only do you need a good monetization strategy, but you need people to read your blog posts! Even if you get those people to read your posts, your posts may not be converting readers into leads or customers. With so over 2.7 million blog posts being published on a daily basis, standing out from the masses may seem like a daunting task. I get it. When I started blogging a few years ago, I went through the same struggles. No traffic to my blog. Then I figured out how to write blog posts that get attention AND converts readers to leads and customers. If you want to write blog posts that get attention and have a simple plan to earn more money with your blog then read this article. Most people who start an online business don’t treat it like a business. One possible reason is because it’s almost risk free, except for the monthly fee for web hosting. It does require an investment in your time and effort. Too many bloggers put in little effort and expect huge results. That is not a realistic way to run a business and most of those people give up and never make any money. When I started my first online business, I met many others who were doing the same thing. The majority of those individuals have since quit. I kept going, learning as much as possible and working hard to make my dream a reality. It also takes time and patience. You may not make money in the first 6 months or more. That’s the nature of making money online. I went months without making any money but I kept on moving forward with my online business. It started making a profit and hasn’t stopped. I’ve since expanded into other niches and love what I do! Are you a blogger who writes about “whatever you feel like writing” or regurgitates information that has been written about thousands of times? 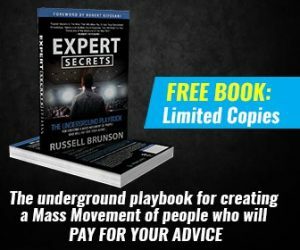 Perhaps the worst I’ve seen is a new 2-month blogger who never made a dime that gives “expert” advice about how to create a money-making blog. Worse yet are those that take the advice! Getting profitable results from your blog requires a good plan and formula for success. It all starts with identifying your target audience. This step is the foundation of every blog post you write. Without knowing your target audience, how would you know what problems they face? People are searching the Internet 24/7 seeking out advice on how to solve a variety of problems they face. Do you have the solution? For example if your target audience is new mothers who want to lose weight, you might write about high quality content about tips that really work and include links to products that complement that effort. New moms are very busy so perhaps you can offer a healthy shake that takes 5 minutes to prepare and aids in weight loss. That’s a great solution that solves the busy problem and losing weight problem. There are many ways to monetize your blog. One of the best that I recommend is affiliate marketing. 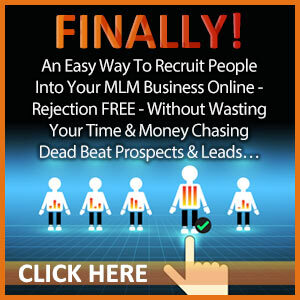 It’s the easiest way to get started with making money online. Affiliate marketing is a powerful way for ordinary people to make a lot of money online just by recommending products. 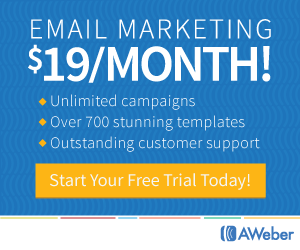 Here’s how marketing affiliate products works. A publisher (you, the blogger), recommends specific products or services of a company to potential customers. That would be the people that visit your website and read your blog posts. If a person clicks your affiliate link and makes a purchase, you get a commission. Commissions vary based on what the merchant is offering to affiliates like you! Usually affiliate commissions vary between 4% and 50%. Be choosy about choosing your affiliate relationships. It takes the same amount of work to earn a 4% commission as it does to earn a 40% commission. Find products that are a good fit for your target audience. One of the easiest ways to get started is with the Amazon affiliate program but most online stores and training websites have programs these days. Certainly you can create your own digital products, training courses or physical products but that will take you even more time. 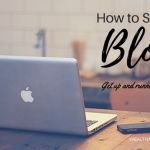 If you can get past the point where all others usually quit trying to make money with a blog, you will be on your way to success if you work hard. It’s not easy but it is so worth it. Making money online can afford you a lifestyle that you’ve only dreamed about before. 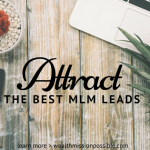 If you want to leverage the best tools and training to achieve your online business goals, then check out the Wealthy Affiliate. 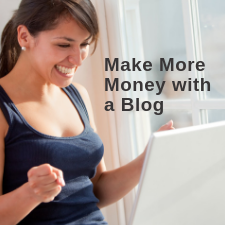 It’s great to read your article about making money with a blog. Loved all the points. What to sell from your blog to make money online is surprising me. Can you suggest me the best affiliates sites?